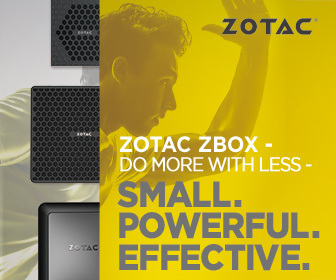 More information can be found Zotac’s website. The ICE storm cooling solution is evident here. You get twin fans a compact, but large heatsink with copper heatpipes. You’ll also find a nice metal backplate, which helps with providing support and extra cooling. For connectivity, you get usual 3 x Displayport and 1 x HDMI. The card is powered by 1 x 8-pin PCIE power. The compact size of the card means you can literally install it any ATX cases out there.